New Skirts for the STO Line of uniforms now finished and on sale at Mollsens. Normally 60L all skirts are only 20L at the main Mollsens store. 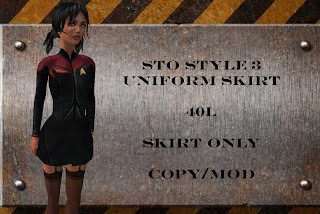 also STO Style 3 uniform set on sale for 200L for the entire set.